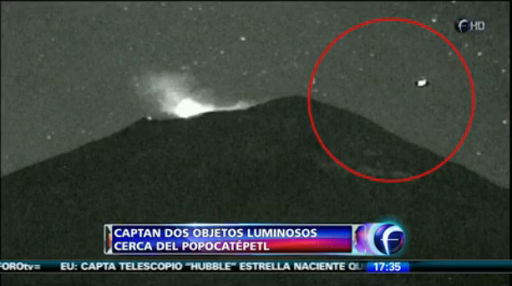 During the early hours of Wednesday, February 6 last, video cameras that monitor the volcano Popocatepetl, Mexico, captured luminous objects circling the summit of that mountain. The first light of the extreme left moved to the center of the video frame, behind the volcano. Soon after, a little before 5:00 a.m., there was the presence of another light that moved slowly in a straight line toward the Popocatepetl.